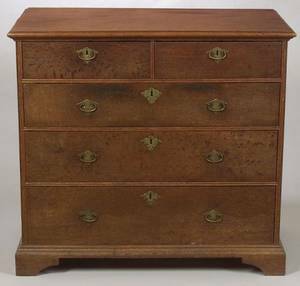 English, Late 19th/Early 20th century. 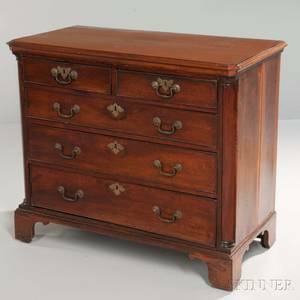 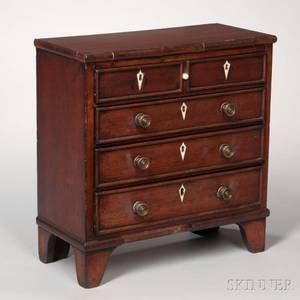 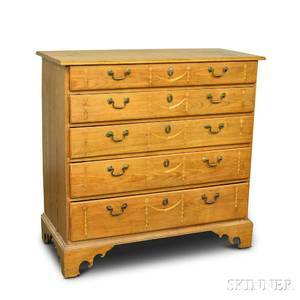 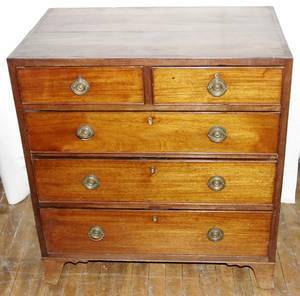 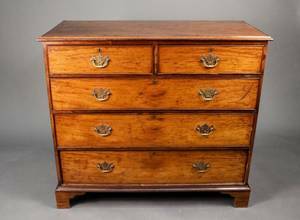 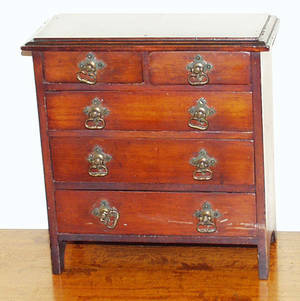 Five drawer chest composed of mahogany with two smaller pull out drawer above three graduated drawers. 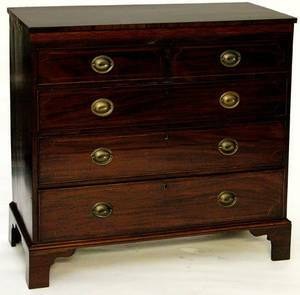 Each drawer front cockbeaded and with brass hardware pull. 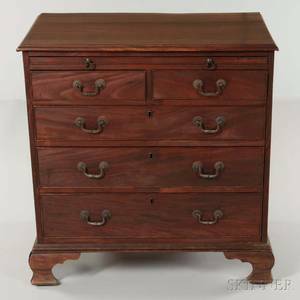 Overall raised on four bracket feet. 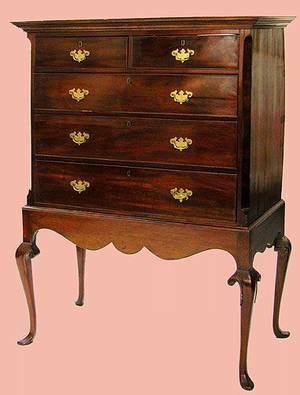 Height 37.2", width 42.5", depth 19.25".